Planescape: Torment is still one of the all-time great RPGs. I should know—I just replayed it in January in preparation for the then-impending launch of spiritual successor Torment: Tides of Numenera. If only I’d waited two more months though, eh? Today a countdown timer at planescape.com (cheekily titled “Plan Escape”) was supposed to tick down to zero and pull back the curtain on Planescape: Torment Enhanced Edition, coming to PC, Mac, and Linux later this year. Then uh...well, the trailer leaked early. Best laid plans. 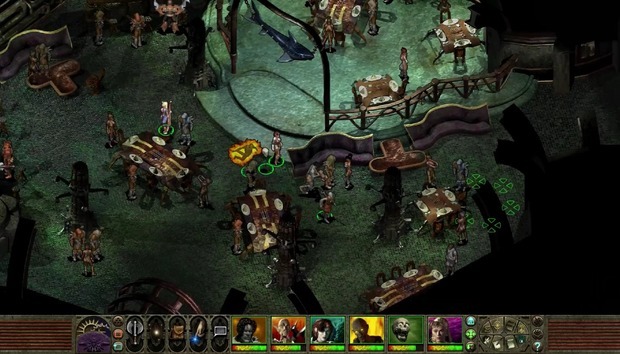 It’s another Beamdog joint, so anyone who’s played Baldur’s Gate: Enhanced Edition, its sequel, or Icewind Dale: Enhanced Edition should probably know the score. Native 4K widescreen, reworked interface, crisper sprites, remastered soundtrack, probably some bug fixes and balance changes, maybe some new companions or restored quest lines, all layered on top of the Infinity Engine classic. Basically you can expect something resembling a fully modded-out Planescape: Torment, but without actually installing mods and with a bit less jank overall, making it friendlier to first-timers and longtime fans alike. I’d expect the Enhanced Edition to fix Planescape’s wacky leveling system for instance, making it so you always accrue the maximum health on leveling instead of assigning it to a dice roll. We’ll see.